The dominant GT4 pairing of Declan Jones and Zoe Wenham approached Rockingham last weekend full of confidence after dominating the open rounds of the championship at Oulton Park some five weeks ago. With victory in both rounds, the pair had a healthy lead in the championship and were keen to extend the gap. The weekend’s two free practice sessions showed early signs that the Century Motorsport run pair were not about to have things all their own way. Finishing third in both sessions, both Zoe and Declan realised that it was going to be an exciting weekend in store to move to the front. Sunday afternoon’s qualifying session approached and Declan was out first in the car. 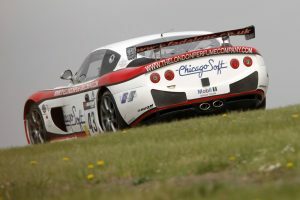 Setting what would become the quicker time of the two drivers, Jones put the Century Motorsport Ginetta G50 second on the grid for Monday’s two hour endurance race, missing out on pole by just 0.128 of a second as a result of a spoilt best lap. Blue sky’s and dry bright weather greeted the drivers for Monday afternoon’s race at Rockingham Raceway. Starting from second on the grid, Zoe who was starting the race for Century Motorsport was keen to try and get a good start to control the race from early on. At the 50-minute mark, Zoe pitted to hand over the car, which was now running in fourth place to Declan Jones for his stint. A superb pitstop by the Century Motorsport crew despite a 20 second penalty as a result of their win at Oulton Park put Declan back out on track in second place just 10 seconds behind the current leader. An impressive sequence of laps brought the gap to the class leaders down even further just before the safety car was deployed for the second time in the race. This however would wipe out any chance of victory for the current championship leaders as the safety car split the field and left the Century Motorsport car almost a lap down on their nearest rival up ahead. Despite the set back, Declan pushed hard during the closing stages of the race to try and close down the large gap but it proved to big an ask in the time left. Crossing the line second however was a very solid result for the pair as these all-important points increase their lead in the championship to 39.5 points. 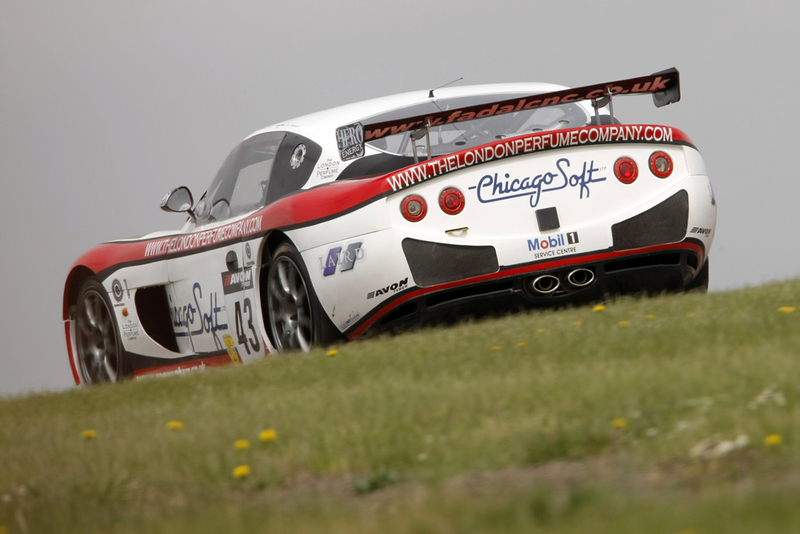 The British GT Championship moves to Silverstone’s GP circuit on Saturday 25th & Sunday 26th May where Declan and Zoe will be keen to continue their unbeaten run of podium finishes so far this season.